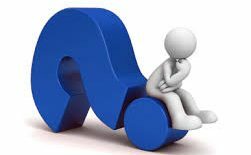 FAQs, (Frequently Asked Questions), If you cant find the answer to your question here please contact us and we will be happy to assist you. If I order parts from you, do I have to collect them, or can you send them to me? If I don't have an account, can I still have parts sent to me? Parts can still be sent on to you, although payment must be received in full before they are sent. Do you supply parts for other tractors & machinery? Yes, we can source and supply pattern parts and accessories for most tractors and machines. All manufacturers have there own service schedules, but if you are unsure we would advise having your machine serviced or checked at least once a year to maintain it reliability and keep it in good condition. Do you offer an out of hours breakdown service? Can you collect my machine for service or repair? We offer a collection and return service for Garden machinery, for a small charge. Yes, overtime petrol will go stale and cause problems with the starting and running of your machine, to avoid this we supply and recommend the use of a product called Aspen which is a ready mixed fuel replacement, speak to a member of staff for more information. What are your payment terms on tractors and machinery, do you offer finance? Finance is available on larger tractors and machinery, All tractors and machinery must be paid for, or signed up for finance before they are handed over. Can I bring my machine to you for warranty repairs, if I didn't buy it from you? If your machine is a brand we stock we will be able to carry out repairs on it for you.